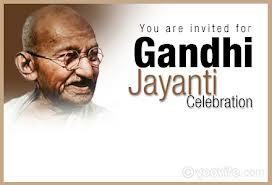 Today 2nd October is Celebrate Gandhi Jayanti. 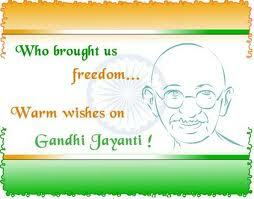 and Lalbahadur Shastri Jayanti. 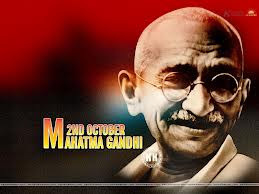 Gandhi Jayanti or Mahatma Gandhi Jayanti is observed every year as a national holiday to commemorate the birth of Mohandas Karamchand Gandhi (October 2, 1869 - January 30, 1948). 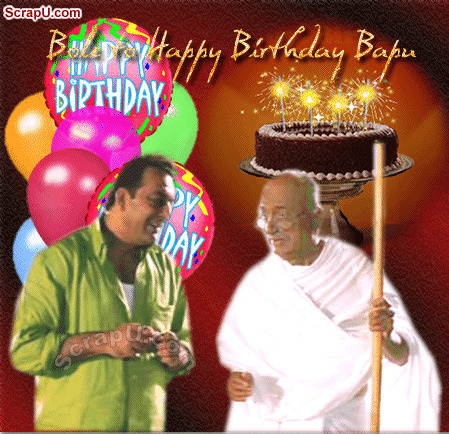 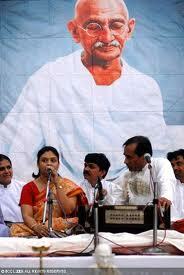 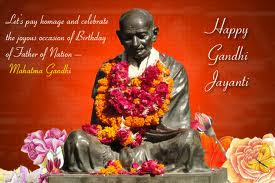 His non-violence or satyagraha continues to influence political leaders and movements till date. 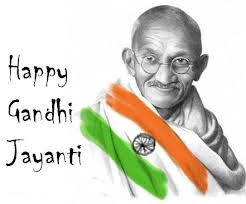 The celebration and essence of Gandhi Jayanti is not restricted within India and also observed by the United Nations as the International Day of non-violence that aims to disseminate his philosophy, principle and believe in non-violence through proper education and public awareness. 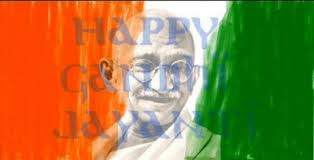 Celebration of Gandhi Jayanti is also a moment to relive Mohandas Gandhi's life and contribution in India's Independence. 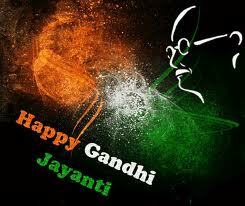 Born in a small coastal town Porbandar in Gujarat, Gandhi married Kasturbai Makhanji at the age of 13. 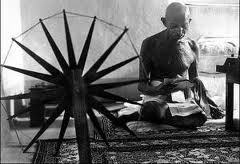 His childhood memories and experiences are vividly depicted by him in his autobiography My experiments with truth. 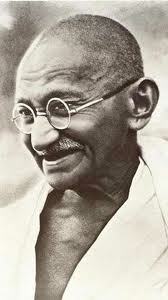 Gandhi at the age of 18 went to England to study law and returned to India in 1915. 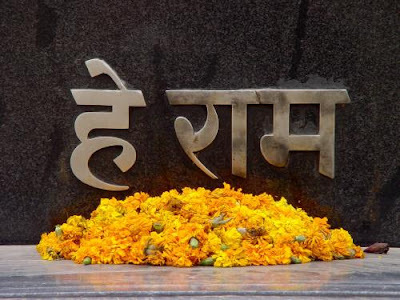 After his homecoming, he led nationwide stir for achieving Sawaraj, abolition of social evils, empowering women rights and improving economic conditions of peasants and farmers. 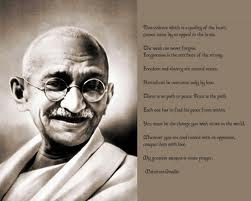 He further strengthened his movement against the British Raj and led Indians in protesting Dandi March Salt in 1930 that was later followed by the popular Quit India in 1942 calling British to leave India. 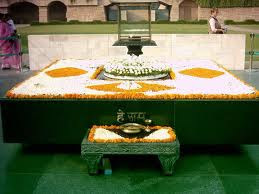 At Raj Ghat, New Delhi, and across India, people gather to observe Gandhi Jayanti in innovative ways that includes offering flowers on Gandhi's pictures, statues and singing his favourite devotional song Raghupati Raghava Raja Ram. 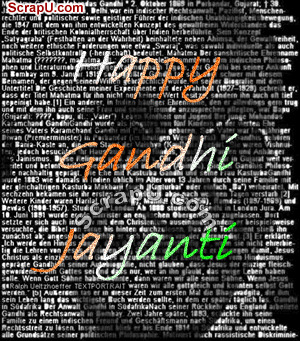 The government offices, banks, schools and post offices remain closed on Gandhi Jayanti to pay homage to 'Father of the Nation'. Additionally, as a tribute to this great soul, the Indian government mint rupee notes and also issue postage stamp depicting Mahatma Gandhi's photo. 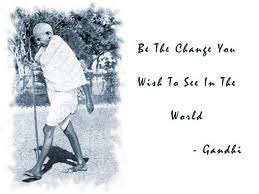 In May 19, 2011 at Geneva, a 1948 10 Rupee Mahatma Gandhi stamp was auctioned for a whopping price of US $205,000 making it a world record as the most pricey modern postal stamp from any country. 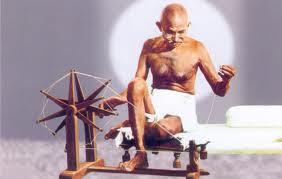 Many ardent followers make effort to preserve Gandhi's belongings, works and writings through various means with the support of governments and non-profit organizations. 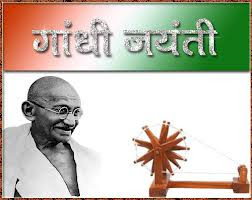 Online portals are also acting as major contributors in preserving and providing information on Mahatma Gandhi and about Gandhi Jayanti celebration. 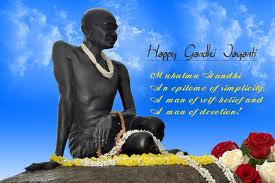 The significance of Gandhi Jayanti celebration transcends beyond commemorating Mahatma Gandhi's birth and his life as followers renounce violence and entirely devote themselves to Gandhi's philosophy and principles of Ahimsa i.e living a life by following non-violence. The celebration of Gandhi Jayanti conventionally kicks off by singing praers, offering flowers, lighting candles and garlanding Gandhiji's photo or statue. 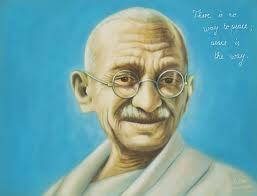 Mahatma Gandhi's life and principles has inspired lives of all ages. 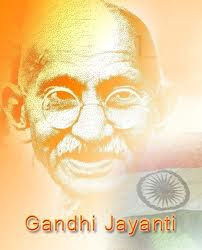 And if you are enthusiastic to explore more about him and Gandhi Jayanti, then Gandhi Jayanti 2012 is the right time to become familiar with his perpetual and valuable philosophy, and also his role as an architect of Indian Independence. 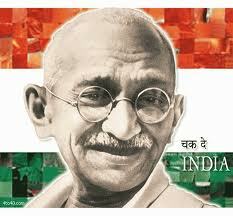 Gandhiji or Bapu, as he was popularly known studied in a local school and was married to Kasturba at the age of 13. His autobiography ‘My experiments with Truth Gandhi,’ states his intrinsic love for ‘truth’ and ‘duty.’ Gandhi proved that non-violence is the most effective instrument of social change and his teachings are promoted even today to shun violence and find peaceful solutions to conflicts. 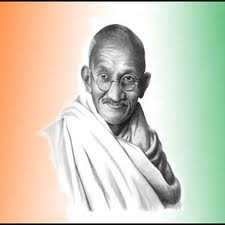 As he said: "Anger is the enemy of non-violence and pride is a monster that swallows it up." 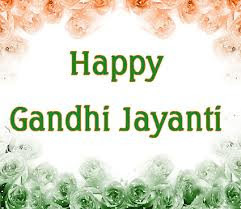 Gandhi was a great freedom fighter who played a significant role in achieving independence for India from the British Raj by following the path of non-violence. 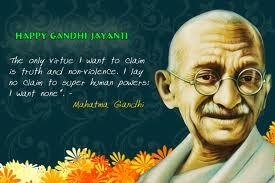 According to him one should have strong willpower and simplicity and two essential virtues non-violence and truth. 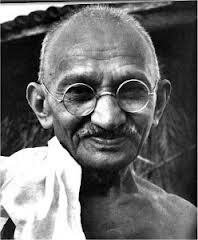 His entire philosophy of life sums up in his statement where he said: "The only virtue I want to claim is truth and non-violence. 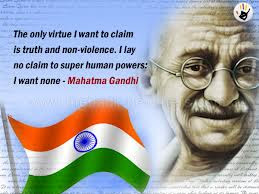 I lay no claim to super human powers : I want none." 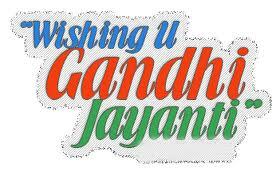 Wishes on Gandhi Jayanti !! 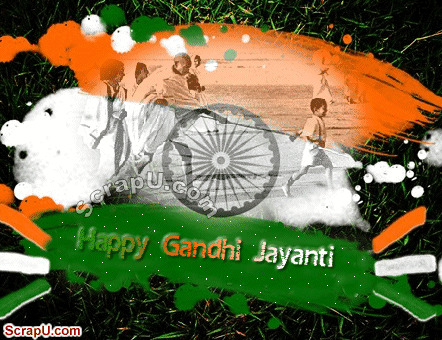 better polity in India, to build a best India! 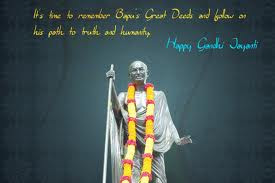 Its Mahatma Gandhi..The Father of Nation ! I know, to banish anger altogether from one’s breast is a difficult task. 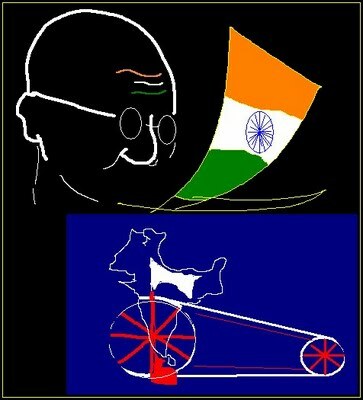 It cannot be achieved through pure personal effort. 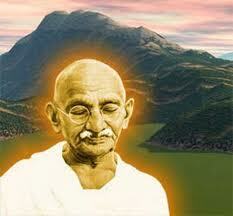 It can be done only by God’s grace.